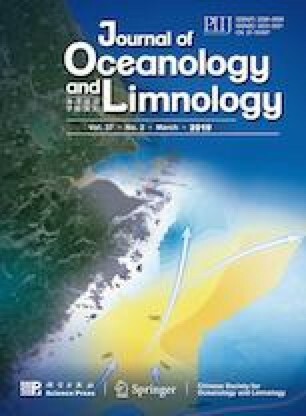 Mesoscale coupling between perturbations of mesoscale sea surface temperature (SST) and lowlevel winds has been extensively studied using available high-resolution satellite observations. However, the climatological impacts of mesoscale SST perturbations (SSTmeso ) on the free atmosphere have not been fully understood. In this study, the rectified effect of SSTmeso on local climatological precipitation in the Kuroshio-Oyashio Extension (KOE) region is investigated using the Weather Research and Forecasting (WRF) Model; two runs are performed, one forced by low-resolution SST fields (almost no mesoscale signals) and another by additional high-resolution SSTmeso fields extracted from satellite observations. Climatological precipitation response to SSTmeso is characterized mainly by enhanced precipitation on the warmer flank of three oceanic SST fronts in this region. The results show that the positive correlation between the 10-m wind speed perturbations and SSTmeso is well captured by the WRF model with a reasonable spatial pattern but relatively weak strength. The addition of SSTmeso improves the climatological precipitation simulated by WRF with a better representation of fine-scale structures compared with satellite observations. A closer examination on the underlying mechanism suggests that while the pressure adjustment mechanism can explain the climatological precipitation enhancement along the fronts and the relatively high contribution of the convective precipitation, other factors such as synoptic events should also be taken into consideration to account for the seasonality of the precipitation response. The authors thank four anonymous reviewers for their thoughtful comments and suggestions that helped improve the manuscript greatly. Huffman G J, Pendergrass A, National Center for Atmospheric Research Staff. 2017. The Climate Data Guide: TRMM: Tropical Rainfall Measuring Mission, https://doi.org/climatedataguide.ucar.edu/climate-data/trmm-tropical-rainfall-measuring-mission.